Yoko McCann: October Instagram Round-up! Here are my favorite Instagram pics from the month of October! That's almost a creepy amount of salmon in one place, right!? 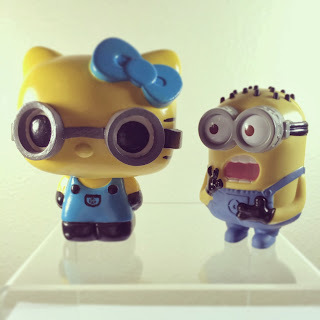 I am obsessed with my custom-made Hello Kitty Minion Pop figure. Larry had a close call with Freddy Krueger, but we made it through Halloween!